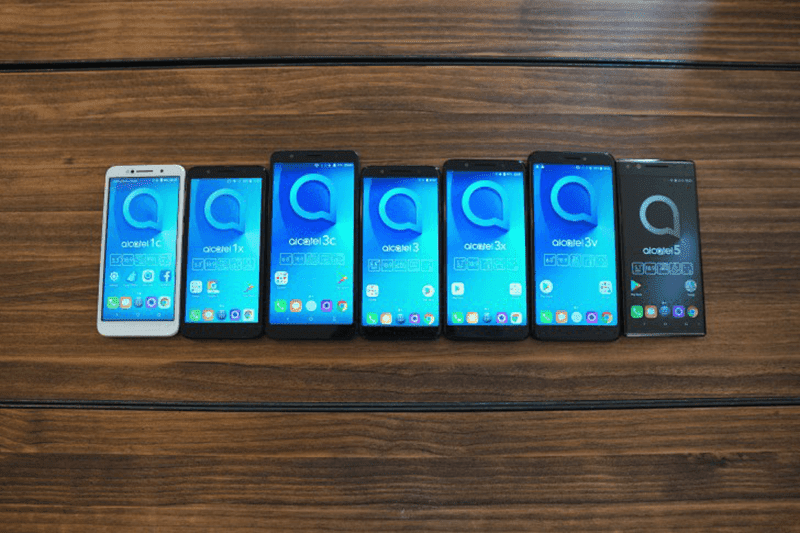 MWC 2018: Alcatel introduced a total of 7 mobile devices! Home / alcatel / mobile / news / MWC 2018: Alcatel introduced a total of 7 mobile devices! For the first day of MWC 2018, Alcatel introduced a total of 7 devices. It include 5 smartphones and two tablets. All of them are priced below EUR 230 (around PHP 14K). Next are the Alcatel 3, 3X and 3V. According to The Verge, these are all similar-looking smartphones with different sizes. They all have a MediaTek quad-core processor inside, micro USB ports, and face unlock tech. The Alcatel 3 features a 5.5-inch HD+ 18:9 screen, the Alcatel 3X goes with a 5.7-inch HD+ screen, and the Alcatel 3V highlights a massive 6-inch 2K screen! The 3X and 3V are the higher-end devices with dual rear cameras with portrait mode. The Alcatel 3 and 3V runs with Android Oreo out of the box, while the 3X is still on Nougat OS. They are priced at EUR 150, EUR 180, and EUR 190 respectively. Alcatel also released the first phone with Android Go out of the box, the optimized version of Oreo for lower-end devices, the Alcatel 1X. It goes with the company's "Face Key" identification feature and either single SIM or dual SIM slots. It is priced at EUR 100 and EUR 110 respectively. Alcatel also announced the 1T 7 and 1T 10, two lower-end tablets with 6-inch 1024 x 600 and 10-inch 1280 x 800 screens. Both runs with MediaTek quad-core processors and 1GB RAM. Weirdly, it has no 802.11ac WiFi support. The devices are priced at EUR 70 and EUR 100 respectively.